Anyways, enough of the rant…on to the Knowledge Economy. I like the premise, and the fact that they wrote it to stimulate discussions about the future of the creative class and talent in general. I thought I contribute my two cents worth on some of the issues the paper raised. 1) Investing in Talented Individuals: This is an interesting one. In the paper, they suggest that soon there will be ‘venture capital/ASX’ style investing in talented individuals likley to assume positions of leadership and value within society. These people will gain investment, to be used for education (?) and then repay their investors with a proportion of their earnings. Sounds a little too much like human trafficking if you ask me – I’m not sure how those high-potential people will go knowing that a percentage of their wage would go to an ‘investor’ for a period…Then again, what else is HECS? 2) Mum, mum look at me: Should we start paying for attention rather than time? Or, more to the point, paying an employee/contractor for the amount and type of stuff they focus on, rather than dependant on their role. I know personally, I’ve had a few jobs now, all in similar roles but the stuff I actually did in those roles varied quite a bit. I’m not sure how you pay for attention – but I think a movement closer to a Brand me world, where people charge by contract, and earn their salt dependant on the skills they bring, is a move in the right direction. 3) Facebook killed email: Not yet…but sooner rather than later we will move away from email systems for internal comms. I know I hardly check it anymore – most emails are internal anyways and many people are currently using Facebook to interact around the office rather than their trusty outlook/lotus notes. I think some middle ground will be the best solution – and knowing larger companies, they will pay someone else to provide a tailored solution rather than bolt on to an existing ‘retail’ solution such as facebook. I’m thinking the corporate internal communications tool looks like Salesforce + Facebook. 4) IP, therefor, I am: Yes, IP is huge. We need to drastically rethink the way we protect out intellectual output, or suffer being ripped off by larger players with deeper pockets. For small, more mobile, more ‘atomised’ workers there is no larger issue. If you can do something cool, you need to feel safe about discussing it in blogs, forums and – yes – facebook. This kind of protection is really only afforded to you if what you do is a) extremely general but YOU do it better due to personality/natural intuition or…more likely b) the competitive advantage you have over others is more tangible – such as an education/degree/PhD in the field you specialise in or a more specific/re-usable method which you may have perfected. Interesting times. I noted the report only covers till 2015, which is a pretty short time-frame given some of the possibilities raised here. Things look like moving fast, whatever the direction. What are your thoughts? 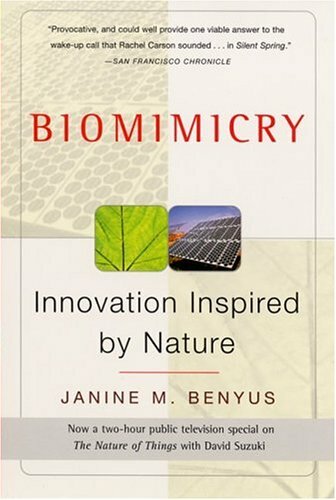 I caught a fantastic documentary on Discovery today, which related to the book I’m reading at the moment, Biomimicry. 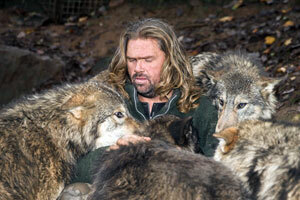 The doco was about a guy named Shaun Ellis, who left his family and life in society to raise a pack of wolves in captivity. It’s a long story, one that is better capturedhere by ABC news. The interesting part to me, was the amount that Ellis had learnt from the wolves, and how he was applying this to life in civilisation. One such example – for years we have been shooting wolves for encroaching on the land of farmers. This has always been understandable – given they often kill young livestock, which costs the farmer financially. In Poland, where a law was recently passed preventing the shooting of wolves, farmers have become financially ruined by the constant presence of the animals. Ellis, convinced there was a better way to prevent the wolves journeying to the farms than just shooting them, put his knowledge to work and came up with an innovative solution. He went to a farmer who had approached him for help, inspected the property and investigated the wolf pack which dominated the territory. Once done, we created a CD of wolves howling in a ‘defensive/territorial’ way. He got the farmer to play this – once daily at dusk over his farm using a normal CD player and an amplifier. End story – the wolves have not attacked in months. It raises a great many questions. But the theory behind listening to the problem and then solving it as nature would is immensely powerful. The very reason the wolves have a defensive/territorial call in the first place is to ware off other packs. Makes perfect sense. The scientists (boffins) applaud the idea in theory, but require more specific research to be convinced. Sigh. 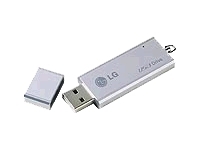 …My USB Stick, which I removed from my VISTA machine without properly ejecting it (yes, a word of warning…Vista doesn’t like it when you remove it without letting it know). Sigh – I could be without for week+, which seems unthinkable to me after only 4 months. More news, as it happens. The book is excellent so far (I’m about half way through) and provides some really interesting insights into how we could take a better cue from nature about they way we go about things. What is interesting to consider is the apparent wisdom of the human race, in all that we have achieved so far. We pride ourselves on our ability to farm, to produce things, to do it better and cheaper and make our markets more efficient. However, when we stop to think, the creatures and plants that we now treat as superfluous in many of these efforts have actually been through similar processes…for thousands if not milions of years. Photosynthesis is simply a manufacturing procedure, refined after millions of years of evolution. Our current energy creation methods pale in comparison. Us humans still can’t even fathom how plants…EVERY plant, undergoes photosynthesis, producing energy from sunlight, CO2 and water. The humble flower makes every oil company look like lumbering cavemen, still enjoying the glow of their first flame. The book looks at how we can take important lessons from this evolution that has taken place, for our own good. I’m going to share a few of the examples from the book as I continue reading it, to share some of the thoughts behind the book. So far, it’s a ripper. Yes, that’s right…that damn Dollarmite account is the THIRD longest relationship I have EVER been a part of. 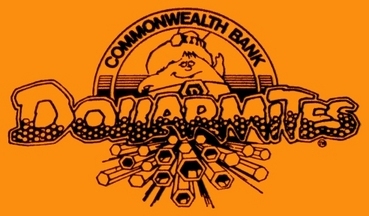 I have been in a relationship with commbank since I was 5…going on 17 years now. I have known them longer than my brother. How is that possible, you ask. I’ll tell you – I signed up for one of those Dollarmite accounts when I was young. Looking back, it was a great play by the bank. The way they were able to utilise a parasitic bug to infiltrate the worlds of young people everywhere. It’s not just me – you had one too at some stage, I’m sure!!! Anyways, tonight is a massive occaision. 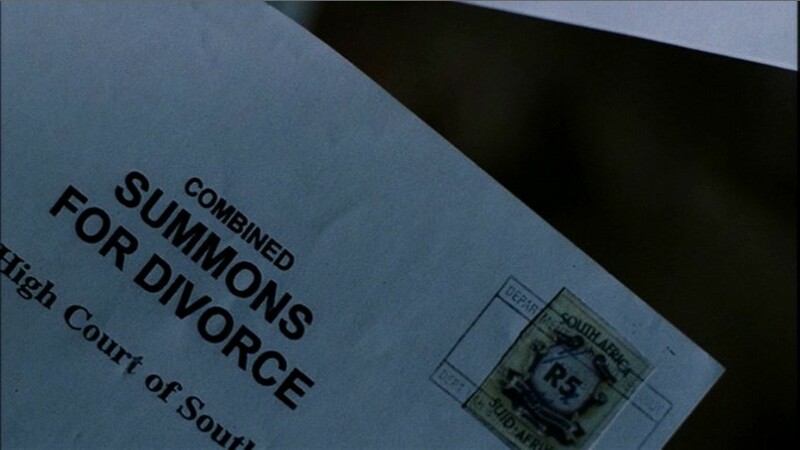 If Commbank is my wife (stay with me hear, I promise an entertaining metaphor), I have decided to divorce them (her). I’ve been seeing a younger woman (Police Credit Association…no ATM/Account Fees – ever). We’ve been together, unbeknown to Commbank, for about 3 years. 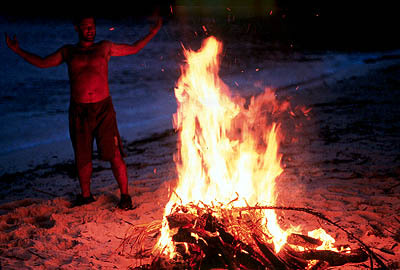 Things are really starting to heat up and get a bit serious. I’ve decided to give her my full, un-divided attention.